If you plan to build your home, you have time to ask the architect to stop and think about the windows for modern houses. This constituent element of any house, gives us many benefits such as sunlight, ventilation, integration to the landscape and even recreation. Or have you never been looking through them in search of inspiration? In this book of homily ideas, we will show you some styles for your new home and, if your house is already built, you can take some ideas to beautify that space that unites us with the outside. Does it matter if it’s real? Do you live in an area surrounded by nature? Do you have a small cobblestone street in front of your house? When it rains the sky gives you a great show? You need a big window. For something you chose to move there and you must connect with your environment. It does not matter if the area is wooded or arid, I assure you that placing large windows will make you enjoy the landscape when you eat breakfast or read a magazine in the afternoon. If you can also add a skylight like the one in the image, you will be delighted with the micro climate that creates natural light, especially in winter. If you do not have the opportunity to remodel the desired room, then just change the window frame and windows for modern houses. 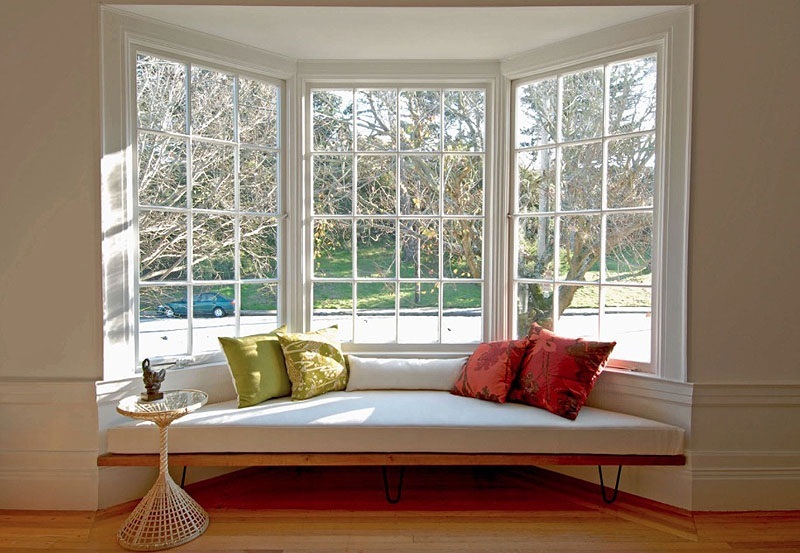 To make the most of a small window with a great view, build a bench with a very comfortable seat under it. Use it as your reading, meditation or resting area. Add significant decorative elements, some work that an artist friend gave you, some lamps that you built yourself, the cushions that an aunt made for you. The important thing is that you give him a personal imprint and that when you look abroad you feel renewed. Use the space under the bench to store magazines, seasonal sweaters or your memories, whether in baskets or decorated boxes that will complement the design. Animals love to sunbathe. If you do not have a patio or do not let them out on the street, create a special place for them. As in the previous example, this space will have the seal of your faithful companion. Build a bench but the seat is made of durable fabric and the cushions have removable covers. Paint the wall with washable vinyl paint. Place a curtain or blind to give a little shade on very hot days and leave a dish of water nearby. Keep under the bench, your toys, your cleaning supplies and ride in decorated boxes. Do not forget to spend time with your pet. If you share your space, get close to brush it or just keep company. The wonderful thing about architecture and current engineering is that there are almost no limits to them. 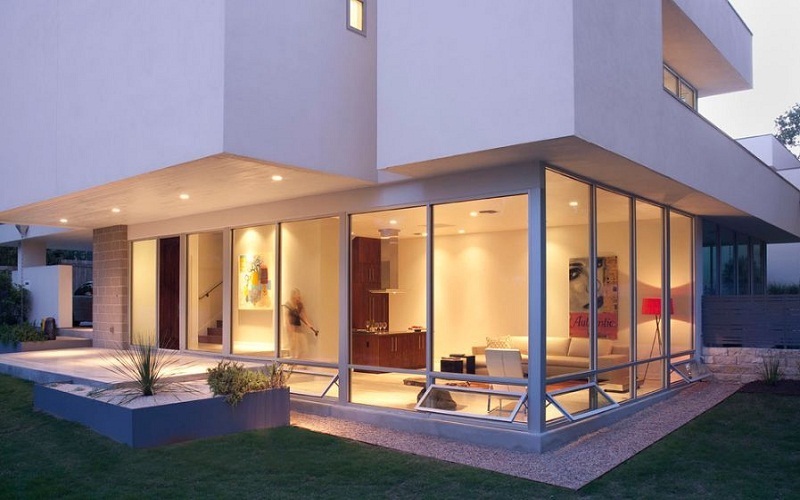 If your architect is bold and has the resources, will make the windows have the shape you want. 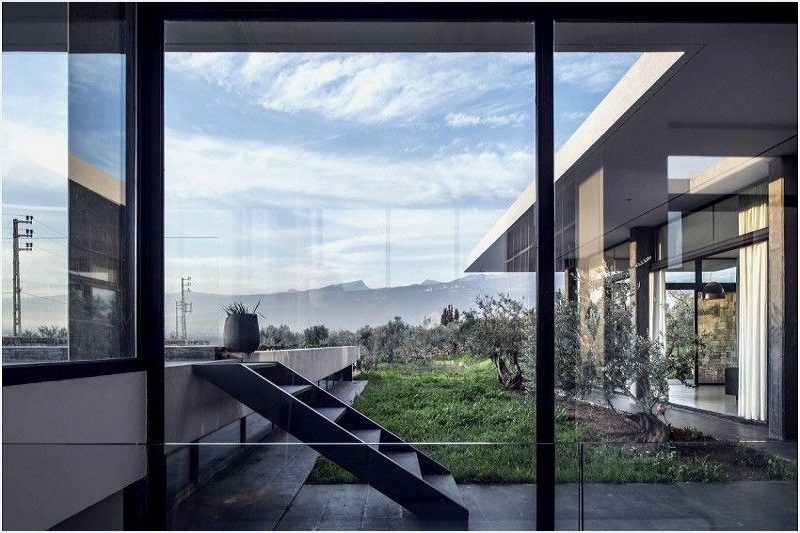 This, for example, runs horizontally through the roof structure and also allows the landscape to be seen vertically. It is important that you do the necessary structural studies and that you hire a cleaning company to have the immaculate glasses, so that they always look good. Neither enloquezcas, the traditional rectangular shape works in any type of house but you will always have the opportunity to make them circular, from floor to ceiling, hexagonal, arched, curved or with a custom design. It is important that you do the necessary structural studies and that you hire a cleaning company to have the immaculate glasses, so that they always look good. Neither enloquezcas, the traditional rectangular shape works in any type of house but you will always have the opportunity to make them circular, from floor to ceiling, hexagonal, arched, curved or with a custom design. If you do not have the opportunity to remodel your bedroom to add a real window, a vinil or hand painted will make it look bigger and brighter. The eye will be carried away by the lines that give depth perspective and your mind will travel to the place of design. It does not matter if it is a city landscape or the French countryside, in color or black and white, realistic or abstract, a window will always give us the opportunity to dream. Just take care that the design is not too heavy and matches the rest of the room. Locate the wall with the greatest potential to apply this great idea. Do you imagine it in your bedroom or in that of your children? No matter, adults, youth and children can enjoy it equally. 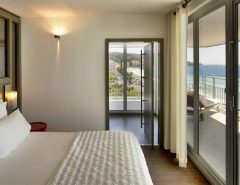 At the time of choosing the design of our windows we go to the traditional, easy and typical, I want to show you some images that will give you a broader idea of ​​the different styles of windows you can have in your home and how to organize them depending the lighting you want in the home, the size of the rooms, the house, etc. One of the ways to create a window with modern and original seats is by embedding it together with the seat on the wall. In this way, you can leave a space near you with small shelves where you can leave your things. On the other hand, in the window you can place some curtains and close them whenever you want to be alone with yourself. Keep in mind that one of the best options when it comes to these types of windows are the radiators that you can install under the seats. This is a very practical way to have everything organized and organized in the house. Another option for the design of modern windows for modern houses that can help us save space is to use the bottom of the windows to store your things, installing drawers. This idea is very good and comfortable especially if you lack enough space in the other drawers and cabinets. In addition, the interior design itself can be done with three windows arranged in a semicircular shape with a sofa with the same shape. It is very likely that in some houses the windows occupy two of the walls, thus leaving an empty corner. In these cases you can opt for sofas designed for corners that will save space and fill it. In addition, you can place a table in the center to create a small dining room. This idea can also be useful if you have a garden and the space we are talking about is an extension of the house, like a summer kitchen or something like that. In this case it is very likely that the exterior windows occupy two or more walls. On the other hand, you can decorate modern windows for modern houses by combining the colors of the interior with the colors of the blinds or the curtains. In the image above you can see a living room with curtains that combine perfectly with the colors of the window seats. In addition, between the white color and the orange color creates a very nice and smooth balance. Another model of windows for modern houses are small windows embedded in the wall with an armchair in each window. This idea is very good for garrets turned into rooms and for smaller rooms. In addition, at the bottom of the seats you can place some drawers to gain space inside. On the other hand, you can also opt for large windows for your bathroom. In the place of the inner window ledge where until now we have been seeing seats, you can place a bathtub. On the outside of the bathtub you can put some curtains that are tied at the two ends of the walls. This is one of the options of modern windows that we like the most and that create an interior with a lot of style and elegance. However, you can also choose some models of wooden windows for modern houses. This type of windows are very good in rustic interiors and also the seat that you can use for this style we advise you to also be made of wood. If you want you can cover them with some cushions but even if you cover it, the wood will still be seen. In this way, you can combine the color of the cushions with the color of the wood and you can get a very nice and beautiful interior. On the other hand, in the interiors with a rustic look, the small windows that have wooden bars on the outside are also good. In these windows you can install small seats with cushions. To increase your comfort between the windows you can place some drawers for your things and gain space in this way. On the other hand, to enjoy the heat in the colder days you can install some radiators on the bottom of the seats and what would become their backs. One of the very original and interesting details in the windows of this type are the blinds to pictures or rectangles, following the form of the external bars.A piece of furniture with a bed for your window. Another option to decorate the windows of houses with seats is to replace the seat with a piece of furniture with space to create a bed. These furniture can have several drawers or compartments designed to store your things. Finally, a new theme in decoration and interior design, using one of the resources that each house has. 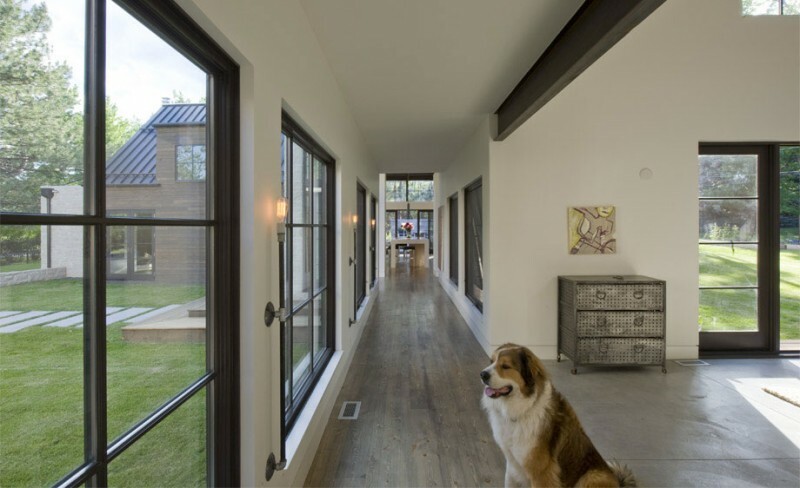 It’s about the windows for modern houses and what we can do with them to create original and interesting spaces. More specifically we will focus on modern windows and we will show you photos of windows and the way you can transform them into places with seats where you can rest and enjoy the landscape.